Azamara Quest docked at the World Trade Centre (East) promptly at 8am, however we had a lie in and took a late breakfast at the lido cafe. I opted for cereal and fruit today, instead of the usual full English. What is great about Azamara Club Cruises is that they actually have English bacon and black pudding! I don’t think I’ve been on any other ship that caters to their UK guests so well at breakfast, and to top it all, they even have Marmite! After breakfast we disembarked and met up with our new found friend Joan, and headed to the hop-on-hop-off bus, which picked us up right outside the World Trade Centre, and decided on the red route, that took you all around the central area and up to the Montjuic to see the Olympic Stadium. Even though it was a hop-on-hop-off, we didn’t end up hoping off and stayed on board enjoying the tour and commentary until we arrived back at the World Trade Centre. We then walked up La Rambla as Joan had not been there before, and showed her the amazing indoor market and "street statues"
Eventually we returned to the ship for a late lunch at the pool grill; the burgers here are just delicious. On every cruise Azamara Club Cruises provides a complimentary evening tour that is unique, and is a real highlight of the cruise. At 4:45 pm we had been invited to a VIP party prior to disembarking for the Azamazing Evening, so we headed to the Looking Glass for cocktails and nibbles, before being called to board our bus; bus number one, thank you very much! The drive took about 45 minutes and our guide told us about the various sites we were seeing as we headed on our way to the Codorniu vineyard for our Cava and Flamenco evening. 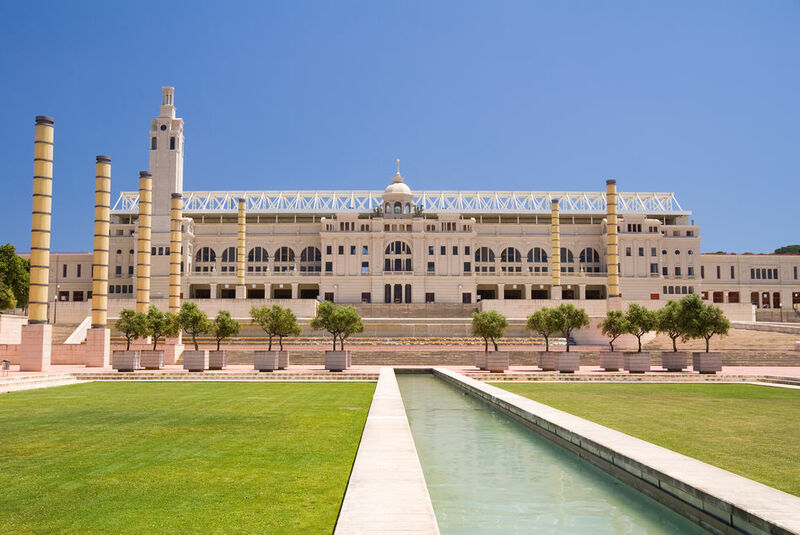 When we arrived at this grand and historic winery, we were escorted into a theatre where we had a short movie presentation about the history of the vineyard, followed by a talk about the process of creating the cava, (they cannot call it Champagne). 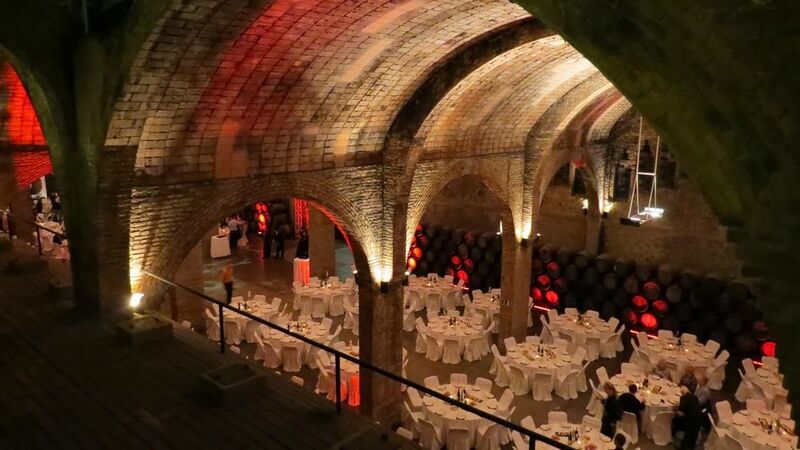 After that we headed to the cellars where all the tables were set up for the 600 or so passengers, the vaulted ceiling and atmosphere was amazing as we took our seats and drank a glass of cava to welcome us. After our food the Captain and cruise director made a short speech and then the flamenco entertainment arrived! 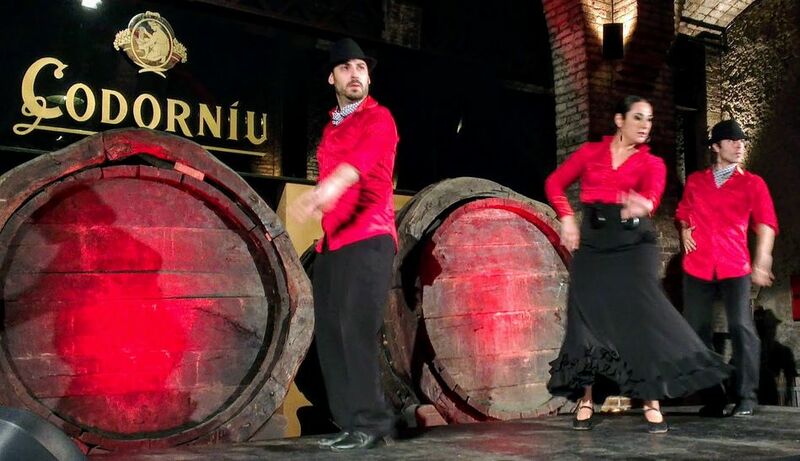 The flamenco dancers wore a more modern style of outfit than the layered traditional version, and were excellent! Back on the bus and we returned to Azamara Quest, where the ships band welcomed us on the quayside with some jazz music! We headed up to the buffet area for a late night bite to eat, then after a brief visit to the Looking Glass, headed back to our cabin.